Barring Indian Institute of Science in Bangalore and a few IITs in the country, most universities and colleges are partial to teaching as compared to the orientation towards research and applications. But now, many self-financing institutions are making an effort to look towards the premier league of research. Scopus, the abstracting and indexing database, shows that VIT University, has 495 publications till the end of May. And VIT has more publications to its name than IIT- Roorkee, IIT- Madras, and IIT- Kanpur. According to Scopus, IISc topped the list of Indian universities with 765 publications, which was followed by IIT- Kharagpur, IIT- Bombay and IIT- Delhi respectively. But what comes as a surprise is, some private universities like Sastra, SRM, Thapar, Amity, Manipal etc. also found place among the top institutions. Not just that, but some of these have more publications than some IITs and most NITs. What a shame! 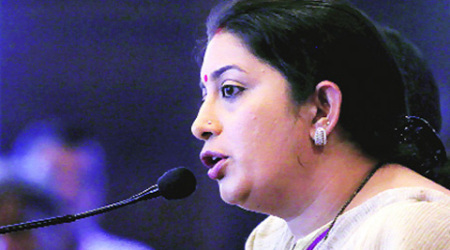 Ms. Irani, do we really need more IITs? Or does the HRD ministry needs to focus on something more constructive? Mr, S. Babu, the associate dean of research at VIT University said, “Encouragement from the management in the form of seed money and stipend for research scholars, has boosted the research output rate”. VIT’s management has supported research scholars by instituting research awards up to 20, 000, buying lab equipment, and offering further funds to expand the scope of research, whenever a candidate submits a research paper. Thus, in 2013, the university’s count was 1, 538, a 260 % increase compared to its research output four years ago. Scholars also countered the argument that emphasis on research will take away the focus from teaching. “Good teaching is a natural by-product of good research, and the benefit should flow to undergraduate students. They should be actively involved in research.” said S Vaidhyasubramaniam, the dean of planning and development, from Sastra University. Mehra further said that the quality of teaching improves, when faculty members are engaged in research. As a result, they will be abreast of the latest developments and help students understand the relationship between theories and applications. “Such faculty will prepare the knowledge force to take up research as a career, than just look for lucrative packages. This will create a conducive environment for the future workforce of India.” she added. Many private institutions have introduced project based learning at the undergraduate level. They have also made research based learning at the master’s level compulsory. VIT has made it mandatory for all M. Tech and MSc students to publish papers at the end of every semester. But then again, private institutions lag behind in the H-index, which a parameter to assess performance of researchers based on the number of times a published paper is cited by peers or other researchers. Now for instance, if VIT University’s H-index is 39, it means that 39 of its 4,846 publications have been cited 39 times by research scholars or peers. This is a good indication of the quality of published papers.